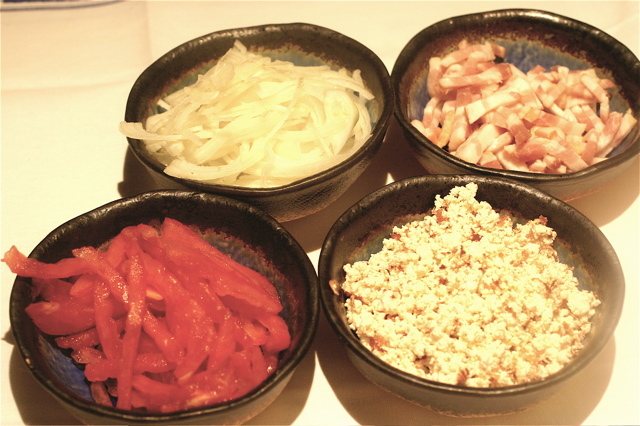 Over at the Once Upon a Feast blog, Ruth hosts a Presto Pasta Nights event. Bloggers check in with some of their favorite recipes, so it’s a fun blog to go to when you are looking for something new to do with pasta. 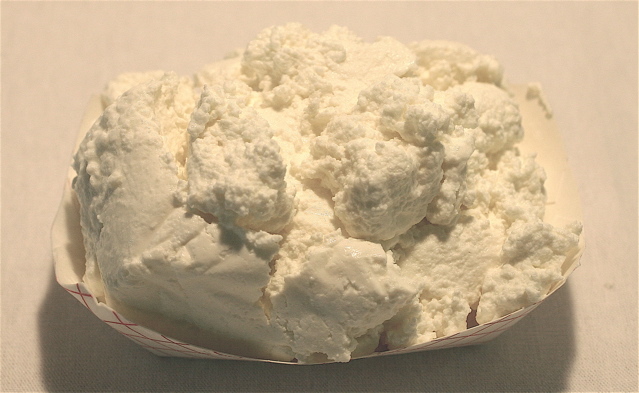 Fresh ricotta cheese, which is made from whey, is soft, creamy, pure white, slightly sweet and mildly savory in taste. The most commonly found ricotta comes from cow’s milk, but my preference, if you can find it, is sheep milk ricotta. It has more flavor, and a smoother consistency. The ricotta should be as fresh as possible, try to find something other than the mass-produced Polly-O stuff, it has a totally different consistency and is virtually tasteless. 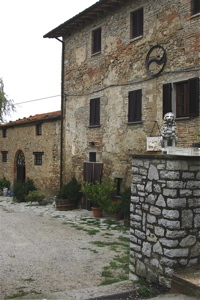 When we are in Italy, we go down the hill to our sheep farmer friend, Francesco Monni, and get the ricotta steaming hot. Because it’s so fresh, and loose, I actually have to wait a day, letting it drain, before I can use it for a ravioli or cannoli filling. It’s a neutral flavored cheese, so you can use it for both sweet and savory dishes. When I was at the Ital.Cook School, a few years ago, a chef there taught us how to ‘toast’ ricotta. It’s very simple, you put in a pan, turn on medium high heat, and keep stirring it until most of the water has vaporized and the cheese has turned into bits of caramelized crumble. It takes on a nutty flavor that is really quite unique. The chef, who taught us, used it as a condiment on top of white polenta. Here is a quick and simple ‘sauce’ to be used over ravioli. Choose simple cheese ravioli to compliment the subtle flavors of the sauce. After you have drained the ravioli, add the tomato strips and toasted ricotta to the pancetta/onion pan, mix thoroughly and then add the ravioli. Gently toss and serve. Serve with a fresh, clean white wine like a Pinot Grigio.